You developed Tycoon, a financial app for models. What inspired you to create the app? I found it really difficult to navigate my finances as a busy, jet-lagged model who was working in multiple countries and getting paid in multiple currencies. I knew that keeping track of income was a problem that was pervasive to all freelancers in our industry (and other industries as well!) and I always thought there should be an easy, mobile solution to help us with this pain point. When you started modelling, did you find it difficult to manage and understand your finances? Where did you go and how did you educate yourself? Like most freelancers, I found it extremely difficult to manage my finances and I was rarely able to decipher the account statements that were given to me by my agencies. I was always confused about who owed me what and how much money I should be saving for taxes. I went to my accountant and asked him for help and from there I started developing systems for myself that would help me succeed financially. Although a modelling career doesn't always last long, models can earn a lot of money in a short period of time. How important do you think it is for models to understand finances? It's singlehandedly the most important thing you can educate yourself about as a model. Most models only have a short amount of time to make money before they are pushed out of the industry for being 'too old' or not 'fresh' enough. I always tell models that they should save enough money to be able to fund another choice later on. If you think about it this way: when clients stop calling, when you are left without a formal education, without a resume, what are you going to do? Make sure that this scenario is always on your mind and save your money for when that day inevitably comes. How has learning about and managing your finances changed your perspective on your work as a model? 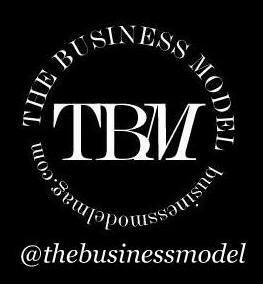 Good financial management is what has allowed me to keep working as a model for more than a decade. Whenever things would 'go quiet' for me, I had savings to rely on. It's almost impossible to work consistently for a long amount of time as a model. If you are able to deal with the low points in your career, you're able to stick around for the high points to come back your way. Whenever I had low points, I focused my energy on learning something new or just enjoying my time off. Developing an app, product, website, or any business isn't easy. What has been your biggest challenge in developing Tycoon? The fear of starting something new. The fear of investing so much time, money, and energy into something that you're not sure is going to work out or not. It takes a big emotional toll to constantly be reminding yourself of your purpose and pushing through the hard times. Developing tech is very, very expensive and there's a lot of moving parts that you feel out of control with when you can't actually do the coding yourself. What is your goal for Tycoon? For all freelancers to say, "I have significantly less stress in my life because of Tycoon. Tycoon has helped me succeed financially." You helped host a model event and talk with Áine Campbell and Cameron Russell in [MONTH of 2016]. How important do you think it is for models to stick together in this industry? Community is extremely important for models and there needs to be more of it. It's rare for a group of models to be in the same room together without being in a situation where they are competing with each other. We need to stick together because we are the only ones who can truly understand and help one another. I learned a lot from models who were older than me and I think it's our responsibility to pass on our [insights] to younger generations. You're very outspoken on social media about your stance on freelancers and freelancers’ rights. When did you first begin to speak out about the topic? I didn't start doing it until I launched Tycoon. I think in life, you have to know when is the right moment to pursue something. I thought long and hard about what I wanted Tycoon to represent and I always saw it as 'the company that is on the freelancers' side'. We are developing valuable tech and resourceful content, so contributing to legislative changes that protect freelancers was/is in line with our core values. What is the biggest misconception you feel people in general have about freelancers? That we are lazy, that we don't have 'real jobs'. Freelancers are hard workers and hustlers; you actually can't succeed as a freelancer unless you are both. Just because we don't have a 9:00-5:00, job doesn't mean that what we do for a living isn't valid. What is the one thing that you have learned during your time in the industry that you feel other models should know? The networks and people you have access to in fashion are very valuable. Make sure you stay connected to people, that you put in work to maintaining relationships outside of a photo shoot. You never know when those relationships will not only be valuable to you, but completely crucial to your future success. Jessica Perez is an entrepreneur and model based out of New York City. She is represented by Trump New York, Metropolitan Paris, Elite Milan, Uno Barcelona, and Mega Hamburg. Follow Jessica on Instagram and Twitter. You can also follow Tycoon on Facebook, Instagram, and Twitter. Tycoon is available in the Apple and Google play store.